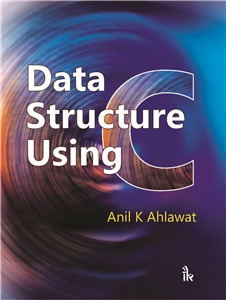 Anil K Ahlawat | I.K International Publishing House Pvt. Ltd.
is currently working with KIET Group of Institutions as Professor & Dean Academics. His clear vision to make the work place as a centre of excellence in R&D motivates the human resource of the institution for best productivity. He is a Gold Medallist in M.Phil from IIT Roorkee, M.Tech in Computer Science & Engineering from Kurukshetra University and Ph.D. from Guru Gobind Singh Indraprastha University, New Delhi in 2009. He has guided 7 Ph.D, 16 M.Tech students and a number of U.G projects. Currently he is supervising 8 Ph.D students. He has more than 20 years of working experience in which he has been delivered his services to AKGEC, BPIT, Amity University, ASET Delhi. He has also been working in a corporate sector as a Software Engineer. He has delivered several lectures for students and faculty in Faculty Development Programmes, Seminars, National and International conferences conducted by different Institutions/Universities in India. He is a member of IEEE, IETE, IAENG, CSTA, IACSIT, various International Conference Committee of India, France and U.K, IJCSIS, IJCA, IJIEE, IJCTE, ITHEA Bulgaria etc. He has published four books and more than 80 Research papers in International & National Journals/Conferences. He has performed various roles & responsibilities successfully as a Coordinator (IQAC, NAAC, NBA, Virtual Lab, NMEICT workshop, NPTEL) Chairman of Research council, Centre Superintendent, Head Examiner, HOD, Chief Editor, Subject coordinator, expert member in selection committees and Flying Squad Member. His achievements are added some more glitters to the institutional prestige for instance he honored PRSG member of Virtual lab (IIT Delhi) by MHRD. His present research interests include Machine Learning, Artificial Neural Networks, Artificial Intelligence and Algorithm Design.